Click here if you want to skip down to Mr. Linky. I have a couple of wonderful email entries to share. Once again our friend Margaret has joined in the challenge. 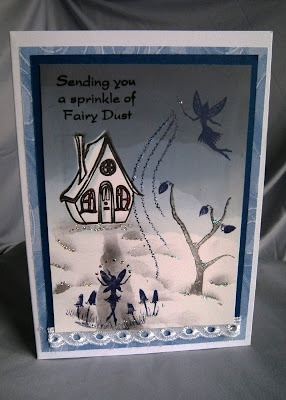 For the Fairy Cottage I used the tree and quirky cottage from Clarity, the fairies are from Lindsay Mason and the leaves on the tree are Card-io Majestix stamps I brayered the background using Adirondack in Stonewashed , Eggplant and Pitch Black and the fairies were stamped using Marvy LePlume pens in Eggplant. 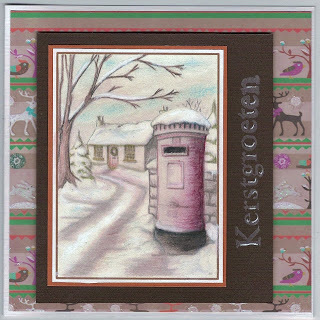 For the English Country cottage scene the stamps were Lindsay Mason’s trees and the cottage, cobbles and fir trees were from Art Impressions. 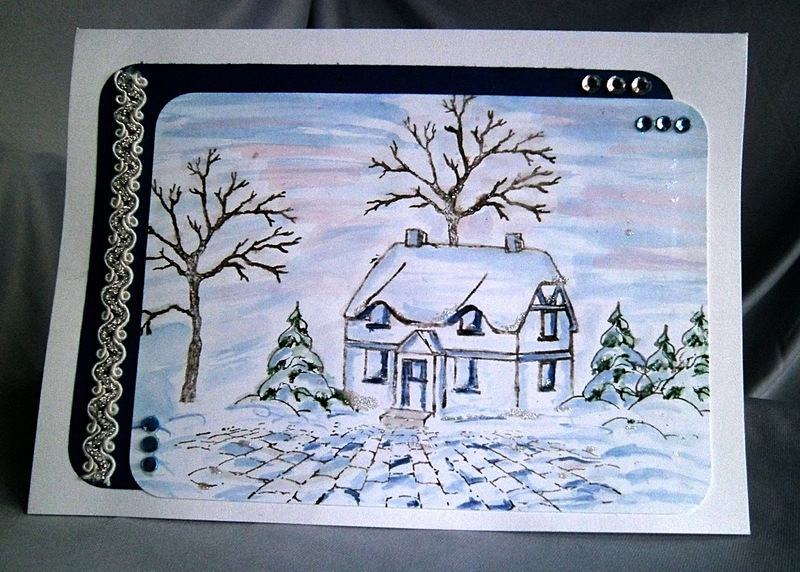 The background was water coloured with Marvy LePlume pens and water. And from our friend Terry Bardal. 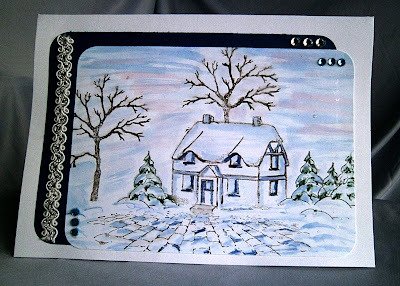 OK, so this is the final week of the "Snowy Cottages" scene challenge. This is your last chance to get in on the great prize from our sponsor this month - Delicious Doodles. 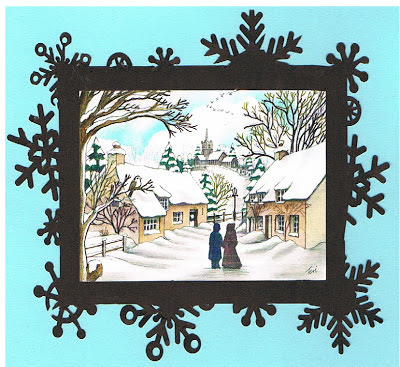 Have a go at the Snowy Cottages challenge and don't forget to check out the Delicious Doodles images. We only want to see finished stamped or digi scenes (no ATC's or unmounted work). If you are not sure what constitutes a scenic project, check out the information here. beautiful emailentry cards!! like the stamps that are used.